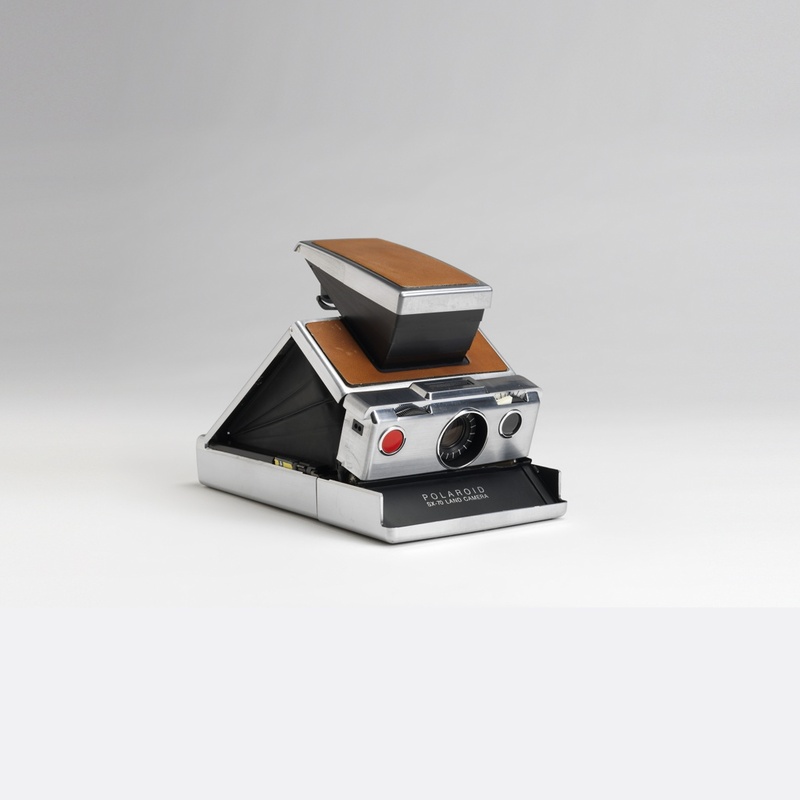 When Edwin Land, co-founder of the Polaroid Corporation, introduced the SX-70 instant camera, he could have hardly predicted how forward-thinking his design truly was. The idea of instant photography, something synonymous with today’s smartphone and social media image sharing applications, was more or less an inexact science before 1972, the year that the SX-70 was introduced. The first camera to produce images instantly without developing in the lab was Polaroid’s Land Camera Model 95, introduced in 1947. While innovative, using a Land Camera was a complex task and taking good photographs was even more of a challenge. That all changed with the introduction of the SX-70, a simple point-and-shoot operation, which automatically ejected developed pictures without the chemical residue of earlier models. The device not only revolutionized instant photography, but it also set a standard for sleek and sophisticated product design. Clad in a stylish leather and brushed-chrome protective case, the camera could be folded completely flat and fit in a traditional suit pocket. Land’s innovative device, the first to employ an instant-film pack with a built-in battery, immediately achieved cult status. In 1973-4, Skylab 3 and 4 astronauts used the SX-70 to compare the Sun’s features from one orbit to the next. Ansel Adams, Andy Warhol, and Walker Evans were among the early adopters and by 1974, 700,000 units had sold across the country, despite the camera’s $180 price tag. The SX-70 revolutionized photography as a medium of instant communication, setting a precedent for instant photography that continues to thrive today. The SX-70 can be seen in Bob Greenberg Selects, opening today in the Nancy and Edwin Marks Collection Gallery and on view through September 9th, 2018. Andrew Gardner was a Curatorial Assistant at Cooper Hewitt, Smithsonian Design Museum.